When talking about health care and long term care, it’s easy to get the “M&M’s” mixed up. 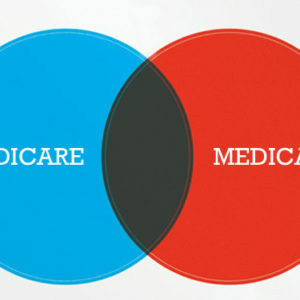 Medicare and Medicaid sound so much alike, you’re bound to get a little confused. Let me help. Part D- Prescription Drug Coverage. Who pays and how much? Since this is a federally funded program, the government pays and you pay. How much you pay depends on what program you pick, and you will likely be responsible for premiums, deductibles, copays and coinsurance. There are a plethora of Medicaid programs out there. As a Board Certified Elder Law Attorney, I mostly deal with two programs that benefit seniors- HCBS (Home and Community Based Services) and ICP (Institutional Care Program). Medicaid is jointly funded by both federal and state dollars. Medicaid is also a means-based program, and eligibility requirements are set, and determined, at the state level. What does it cover? HCBS pays for very minimal in-home health care and also pays a set amount, or what I like to call a stipend, towards an Assisted Living Facility bill. ICP pays for room and board at a Nursing Home and the Medicare Part B premium. Nothing in life is free. When you are in the nursing home, your income, less any supplemental health care insurance premium and a whopping $35 per month for your personal needs, will go to the nursing home. The difference between the contracted monthly rate of the nursing home bill and your income is paid by federal and state dollars. For more detailed or case-specific information regarding these programs, please contact The Law Office of Kathleen Flammia at 407-478-8700.